Congratulations, you’re a grandmother! You’ve got one of the best jobs in the world. Make the most of it by giving your daughter or daughter-in-law the support she needs to breastfeed your new grandbaby. Let your daughter know about the benefits of breastfeeding. Start talking about it before baby comes—this is when most moms decide how they will feed their babies. Learn all about breastfeeding and the myths that might affect your daughter's decision to breastfeed. Learn how breastmilk is better than formula. The more you know, the more you can give her helpful information. Encourage her to make a breastfeeding plan and to choose a doctor and hospital that support breastfeeding. Offer to provide a meal, do household chores, run errands, or care for other children in the home. Help mom look for baby's early hunger cues such as licking his lips, sucking his tongue or hand, searching for the breast, or making small sounds. Make sure mom is comfy and has a snack and glass of water nearby when she breastfeeds. Hold baby for 20 to 30 minutes after he breastfeeds. That's about how long it takes baby to fall into deep sleep so you can put him down for a nap. More grandma time! Help keep the house quiet while baby's sleeping so mom can take a nap, too. Babies cry for all sorts of reasons. It doesn't always mean they are hungry. If baby's crying, check to see if he needs a diaper change or just needs to be cuddled or calmed. In the first 4 to 6 weeks, baby should do all his sucking at mom's breast. Breastfeeding works by supply and demand, so the more baby nurses, the bigger mom's milk supply will be. After 4 to 6 weeks, you can help by offering pumped breastmilk in a bottle when mom needs to get away. Breastfeeding can be tough for any mom, especially at first. Let her know it gets easier with time and the journey is worth it. Even if you had trouble breastfeeding or didn't breastfeed your children, your daughter will probably be able to breastfeed successfully. In fact, she can probably breastfeed even if she had trouble breastfeeding her last baby. Texas law says a mother is allowed to nurse her baby anywhere she is allowed to be. There are clothing options to help moms be comfortable when they breastfeed in public. Your support can give your daughter the confidence to breastfeed wherever she is. Many women experience depression and anxiety during and after pregnancy. It is not a sign of weakness or being a bad mother. It is a medical condition that can cause her to stop breastfeeding and can have long-term health effects. 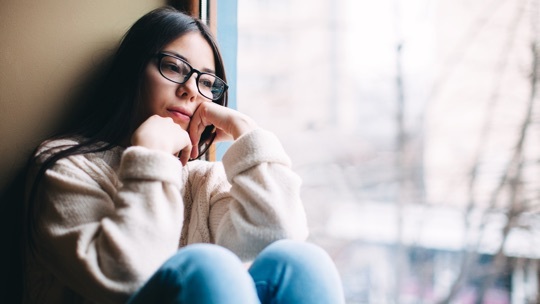 Here is some useful information from the National Institutes of Health on how to identify the signs of depression and what you can do to help. 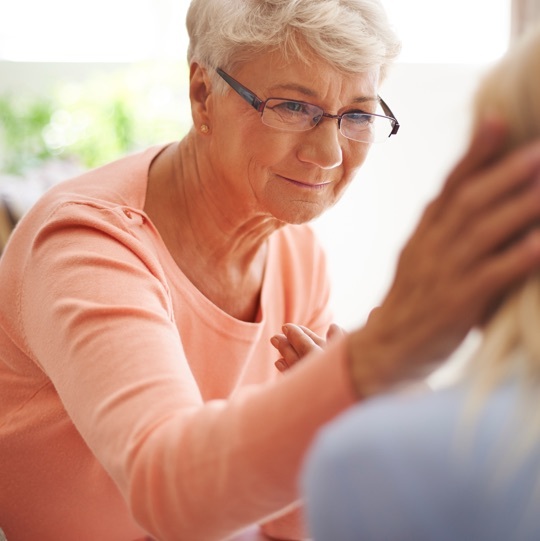 Let her know that depression is a common medical condition and can be treated. It is not a sign that she is weak or a bad mother. 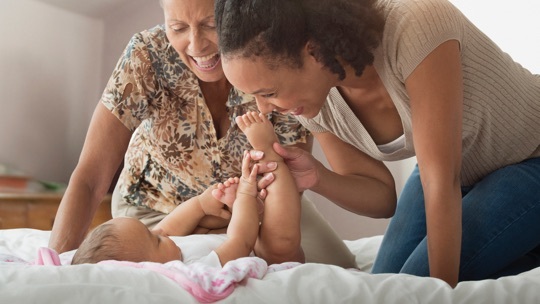 Download the flyer, "Talk About Depression and Anxiety During Pregnancy and After Birth: Ways You Can Help" (166KB) from NICHD for tips on how to talk about this and more resources on where to go for help. Here are a few common breastfeeding myths to watch out for. Don't let them scare you—they are not true.